During LeConte’s tenure at Berkeley, his best known student was John C. Merriam (left), who, inspired by LeConte’s textbook on geology, came to Berkeley for an undergraduate degree, and then went on to study with the famed paleontologist Karl A. von Zittel in Munich for his Ph.D. Merriam returned to Berkeley as professor of paleontology in 1894 in the geology department. Soon he was teaching a complete array of undergraduate and graduate paleontology courses, including several on vertebrate history. Helping him were a number of students and graduates, some of whom achieved high standing in paleontology themselves, such as Loye Holmes Miller, an avian paleontologist who helped to found the Zoology Department at UCLA, and Chester Stock, who became an assistant professor at Berkeley, and then moved to the California Institute of Technology where he started a highly regarded paleontology program in the new geology department there. Many of the famous early California paleontologists were trained at Berkeley under Merriam. Merriam’s teaching was highly regarded, and it attracted many students to his lectures, including Miss Annie Alexander (right), a wealthy newcomer to the Bay Area. Alexander, born and raised in Hawaii and recently moved to Oakland, attended one of Merriam’s courses in 1900 and was thrilled by it. This began a lifelong enthusiasm for paleontology and its support at the University of California. Alexander, a remarkable woman, was vital to the development of paleontology, vertebrate biology and botany at Berkeley; her life and contributions are well told by Stein (2001). Soon after taking Merriam’s course, Alexander organized expeditions to collect fossils from many places and ages. This work continued until 1906 when she organized an expedition to Alaska to collect examples of living animals, bears in particular. This trip was stimulated by C. Hart Merriam (no relation to John C.) who was particularly interested in bears. She still continued her deep interest in paleontology and supported J.C. Merriam’s research and many more fossil collecting trips until 1920. 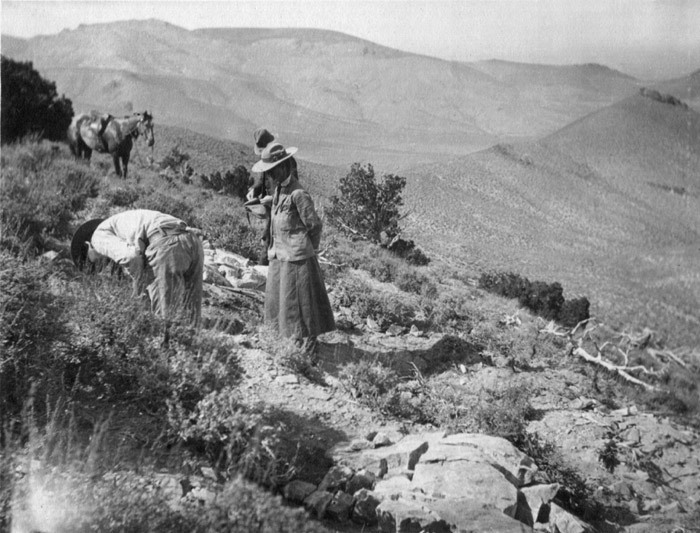 Her contributions to UC paleontology were many: financial support to faculty and the University, collecting expeditions across the west, donation of specimens, encouragement to UC paleontologists, support of students, persuasion applied on behalf of paleontology on several Presidents of the University, and endowment of the UC Museum of Paleontology. These contributions continued for nearly 50 years, and paleontology still benefits from her largesse (Stein 2001). Without Alexander, paleontology would not have thrived at Berkeley. With her, paleontology became a renowned discipline on the campus built on the foundations laid and the collections developed by LeConte, Merriam and her. 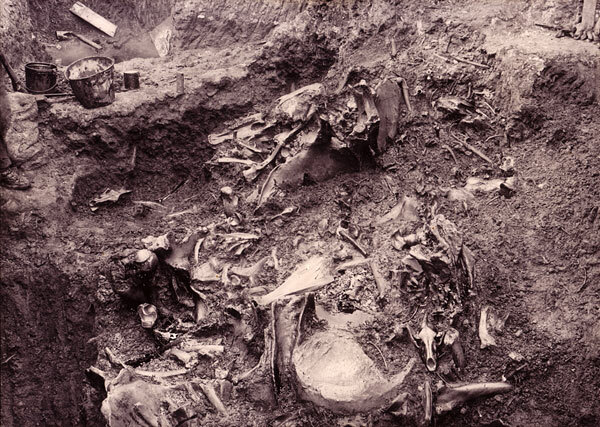 This 1906 photo of an excavation at Rancho La Brea shows the quantity and quality of the bones. La Brea photo from Stoner, R.C. 1913. Recent observations on mode of accumulation of the Pleistocene bone deposits of Rancho La Brea. Bulletin of the Department of Geology, University of California Publications 7(20):387­396, pl. 17. 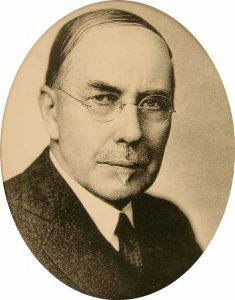 Merriam was also an exceptional researcher, fossil collector and prolific author of many papers on vertebrate paleontology and a few on invertebrates of western North America. Much of this was made possible through the financial support of Annie Alexander. His work on the vertebrates of the Pleistocene Rancho La Brea in Los Angeles (left top), including a note on the occurrence of human bones (Merriam 1914), was outstanding. He and L.H. Miller, then in Los Angeles, together with others excavated the tar-soaked sands and asphalt from 1905-1907 and in 1912-13 with funds from the University Regents. Later in 1913, the Los Angeles County Supervisors were given exclusive excavation rights to the tar pits, thus ending Merriam’s collecting (Heric 1969) but not his studies of the material. 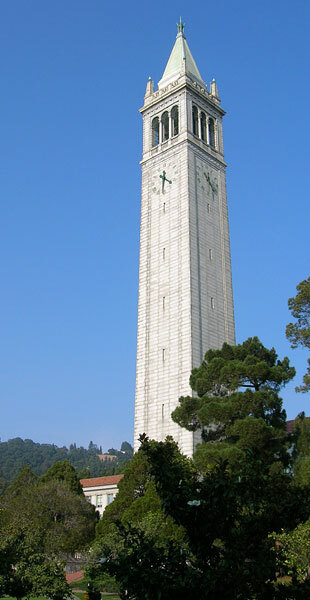 His remarkable and huge collection was sent to Berkeley, studied by Merriam and his students including Stock, and stored in the Campanile on campus where it remains today. Merriam continued his studies on other faunas as well. He was an important expert on the paleontology and geology of the John Day fossil beds in Oregon (left bottom), where he had run Berkeley expeditions for about 20 years starting in 1899 (Miller 1950). Merriam studied the fossils, describing them in detail, and the stratigraphy, naming several formations in the area (Merriam and Sinclair 1907). During this work, Merriam proposed that the fossil beds be made a state park and preserved for posterity. In 1974, the John Day fossil beds were declared a U.S. National Park Service National Monument. This became an important role for Berkeley paleontologists later on as additional important fossil sites were studied and deemed worthy of preservation as parks and monuments. Merriam was very highly regarded on the Berkeley campus, and was invited to deliver the second Berkeley Faculty Research Lecture in 1914, quite a distinguished honor, on the “Paleontology and Historical Geology, Extinct Faunas of the Mojave Desert: Their Significance in a Study of the Origin and Evolution of Life in America” (Merriam 1915a). He wrote a number of general interpretive papers, even on human evolution (Merriam 1919), and many excellent monographic works, often coauthored with his students and others. By 1915, Merriam was able to provide a useful sketch of the history of life on the Pacific Coast, mostly based on research that used the collections at Berkeley (Merriam 1915b). 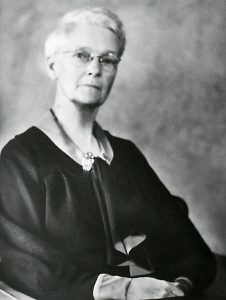 Annie Alexander also became a great supporter of vertebrate biology, and Merriam fostered her efforts in this endeavor. She met Joseph Grinnell for the first time in the hall at the Throop Polytechnic Institute, later transformed into the California Institute of Technology, in Pasadena while organizing another collecting trip to Alaska in 1907, and, after a brief conversation, left. But Grinnell remembered that she had been acknowledged in J.C. Merriam’s paleontological publications as a collector and financier of his research. Grinnell believed that she was a serious supporter of science, and so he wrote her an impressive letter about collecting in the wilderness that attracted Alexander’s attention and interest (Stein 2001). Thus began a long, cordial and highly productive relationship with Grinnell that led to the formation of the Museum of Vertebrate Zoology (MVZ) at Berkeley in 1908 and his appointment as its first Director. The establishment of the MVZ required significant negotiation with President Benjamin Wheeler and the Regents, for Alexander wanted complete control of the museum and its research agenda (Stein 2001). This proposal and her plans were supported by J.C. Merriam with a strong statement that such a museum would greatly aid instruction and research at the University, as well as provide comparative material for research in paleontology, geology and anthropology. Her proposal was rejected by the Regents, because giving her control of a University facility would be a violation of the Organic Act of 1868. The matter was settled diplomatically by Wheeler, and Alexander accepted his compromise that would allow her to continue to direct the affairs of the new museum along with Grinnell. Paleontology also continued to develop, with Alexander’s support in all ways, although it had more problems, however, because it was part of geology and its collections were part of that department. Paleontology also included a much wider area of study than vertebrate biology, because it required understanding the geology and ages of fossil sites, and of course it included the discovery and description of a wide range of invertebrates and microfossils. Paleontology thus had an inextricable relationship with geology, as it still does. The relationship between the geologists and paleontologists in South Hall became difficult. Alexander did not like this strain between the geologists and her paleontologist, and with money and appeal to President Wheeler, a Department of Paleontology was created in 1909 with Merriam as its Chairman (Stein 2001). The fossil collections became part of this department. A year later, she pushed for new quarters, the ones in South Hall having become too crowded (Wagner 1969). In 1911, the Paleontology Department and its collections along with the Geology Department moved into Bacon Hall (right), the renovated Bacon Arts and Library Building built in 1881 (Wagner 1969). 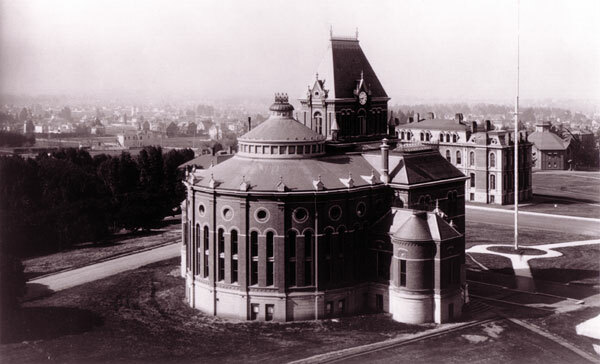 The first two homes of Berkeley’s fossil collections: Bacon Hall (foreground) and South Hall (behind Bacon) in 1893. Photo (call no. 7:17) courtesy of the Bancroft Library. The fossil collection continued to grow, chiefly through the work of Alexander, Merriam, and students and staff. By 1915, the Paleontology Department had a collection totaling over 150,000 invertebrate, 15,000 vertebrate and 3000 plant fossils, of which several hundred were type specimens (Evermann 1915). It was the most significant fossil collection on the west coast for it contained far more fossils than any other museum west of the Mississippi, including such places as Los Angeles’s Museum of History, Science and Art, which had the notable collection of Rancho La Brea material, and San Francisco’s California Academy of Sciences (Evermann 1915), which had had extensive collections of fossils collected by Trask, Cooper and others that were destroyed in the Great Earthquake and Fire of 1906. South Hall at Berkeley had come through the same earthquake relatively safely as did the fossil collection therein. This collection was referred to informally as a museum of paleontology, but UCMP itself did not yet exist.